Check Out Our New Ventilation Page! 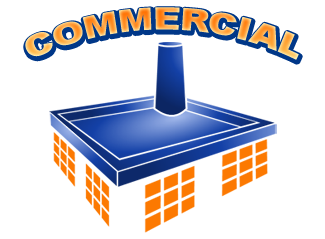 We are an established, highly reputable family-owned company that has served Chicagoland since 1949. 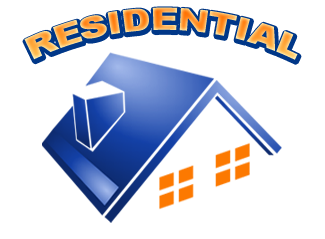 We are experienced Chicago Roofing Contractors and are proud of our reputation for honesty, fairness, and hard work. 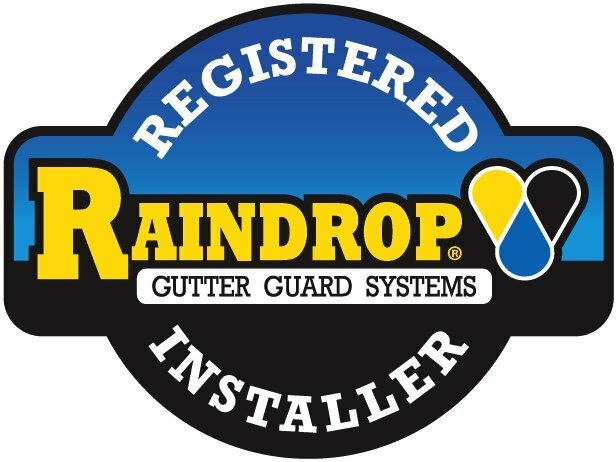 Call us anytime at 1(800) 834-6464 or click here for a free estimate on roofing, windows, siding, tuckpointing, gutters and downspouts. 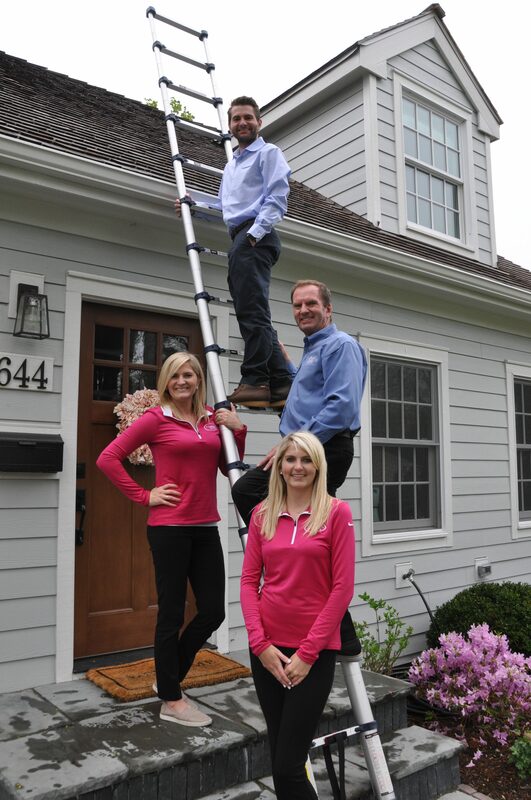 It is our pleasure to be serving Chicagoland area homes and putting our customers first. 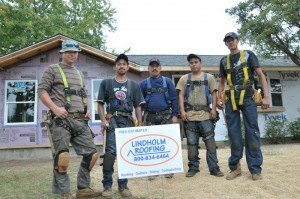 Lindholm Roofing is proud to give back and be an active member of the community. In 2017 Lindholm partnered with Mercy Home, our local Alderman’s Office and Lydia Homes Association. In 2016 we partnered with Eagle Scouts where we donated and installed a new roof on a facility in Barrington. In 2015 we participated in the feed the children event with radio station AM560. We also donated toys to our local Alderman’s office so children in the area could get christmas presents. In 2013 we installed a roof for a homeless family. We worked with Christ Church of Lake Forest to make sure that a family in need was able to have a roof over their head. In 2012 we partnered with Habitat for Humanity on 3 different projects. We worked hand in hand with the foundation and donated labor and materials to help the cause. The family attends charity functions held by the company’s advertising partners. 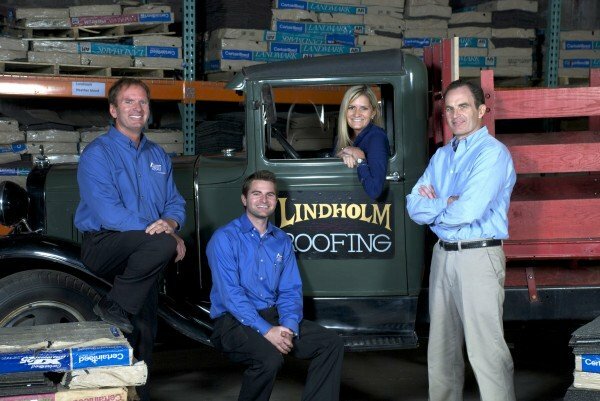 Lindholm Roofing regularly donates to Lydia Home Association and Special Olympics Foundation. In honor of the passing of Thomas Lindholm, founder of Lindholm Roofing, the company also donates to Acute Myeloid Leukemia Foundation. The staff participates in local events around the Chicagoland area such as Church functions and School Fundraising events. 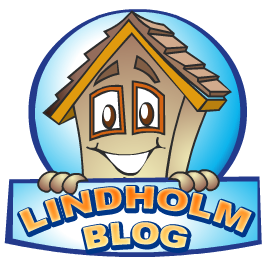 Since all the Lindholm children enjoyed sporting events when they were young the company has sponsored youth baseball and softball during the summer. Lindholm Roofing employees are also found riding in our vintage Ford Roofing Truck in community parades. The Lindholm Family believes social responsibility is important and is continually looking for new ways to be charitable. Team work at Christ Church of Lake Forest Project above and Habitat for Humanity project below.